This stylish glass sink is the latest in luxury bathroom design with its beautiful glass styling. 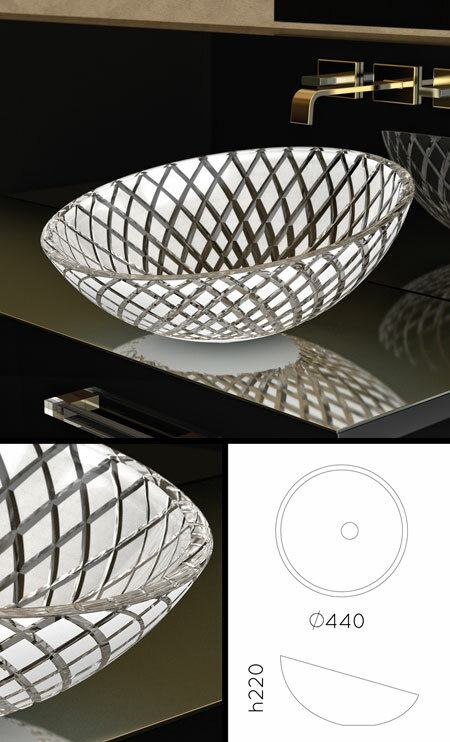 Each glass basin has diamond design etched into the glass producing a lovely clear and satin glass pattern. A great design feature, this glass sink is ideal for high quality bathroom design. All designer glass basins are made to order please allow 3 to 4 weeks for the delivery. Please note this glass sink has a matching polished mounting collar and basin waste which can be supplied as optional extra.